I have been to Italy on six separate occasions, and each time I wondered “is Venice worth visiting”? The first two jaunts I avoided Venice like the plague. I had heard from travelers and Italians alike that Venice is way overrated. The city of canals was supposedly smelly, crowded, and expensive. On my third trip to Italy, I just could not avoid it any longer. I had to see what all this fuss was about for myself. So, in the middle of February, we took a nine hour bus across the country to get to the city. We didn’t know what to expect. As our train pulled in I knew we were either going to love or hate Venice and soon would know if Venice was worth visiting. 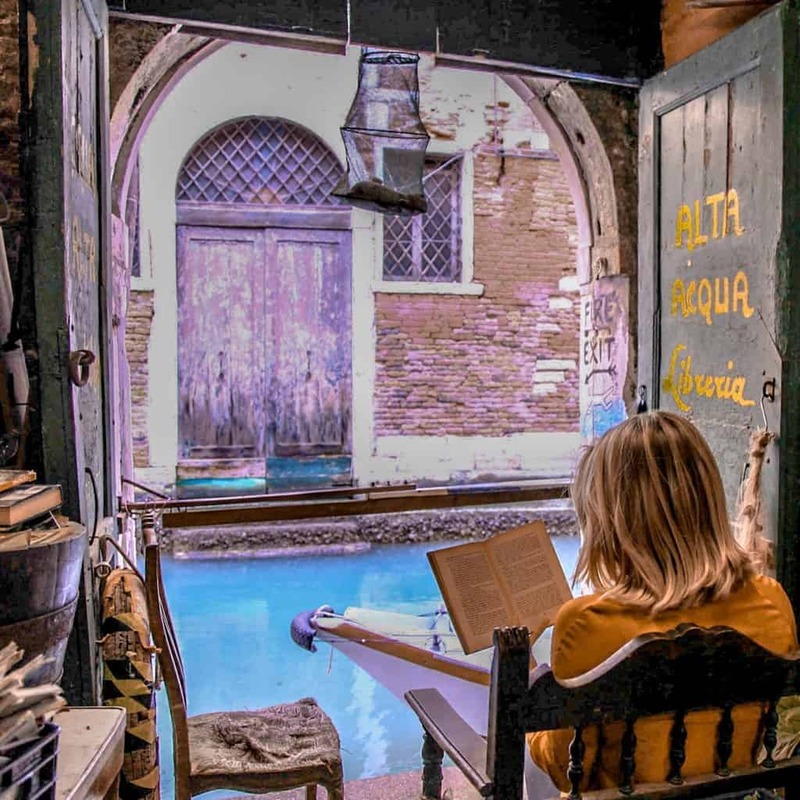 Here’s what we found in Venice, things to do, and a few of my top Venice travel tips so you can fall in love like we did. Before I go into too much detail, the answer is yes. Venice is absolutely worth visiting. When I first went to Amsterdam, the Dutch were boasting that they had more canals than Venice. I’m sorry Dutchmen; as awesome as Amsterdam is no Venice. I mentioned at the beginning of this post that Venice is said to be crowded and expensive. After speaking to the locals and touring Venice first hand I would say that the time of year you plan to visit Venice crucial. We unexpectedly went there in the middle of February and hit it right with prices and with crowds. However a simple Google search of “Venice crowds” yields photos of the mass amount of tourist that flock to Venice every summer. Having the city to yourself is one of the many advantages of traveling during the off season. We also found great deals on accommodation in the shoulder season. Now that you’ve decided when to visit Venice it’s time to make the most of your trip. 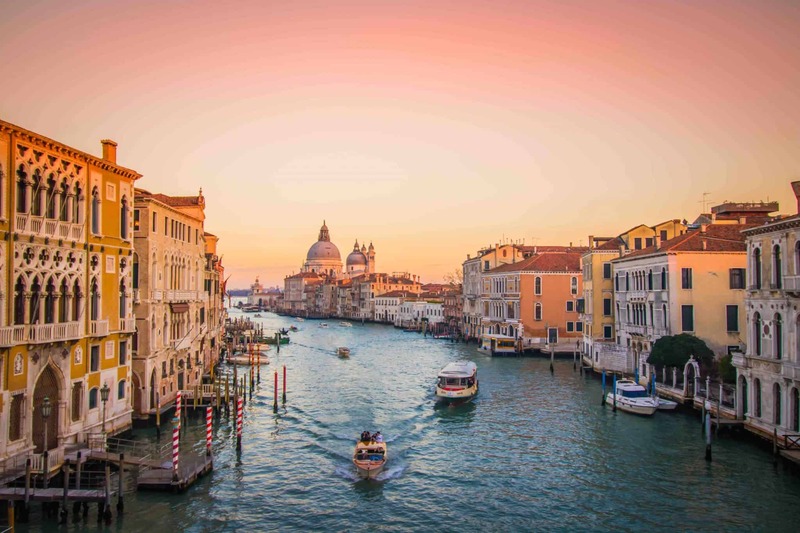 Venice is made up of 117 small islands that are all linked by bridges. One of the best things to do in Venice is to wander around and get lost. The best way to get around Venice is by foot. There are no cars on these islands. So no road rage maniacs or loud motors ruining the peace. The sounds of the Venice streets are completely blissful. There are many things to do in Venice besides take a gondola ride. The whole pensolon (municipality) of Venice is divided into 6 boroughs: Cannaregio, Castello, Dorsoduro, San Marco, San Polo, and Santa Croce. All have charming places to visit and delicious eats and drinks. 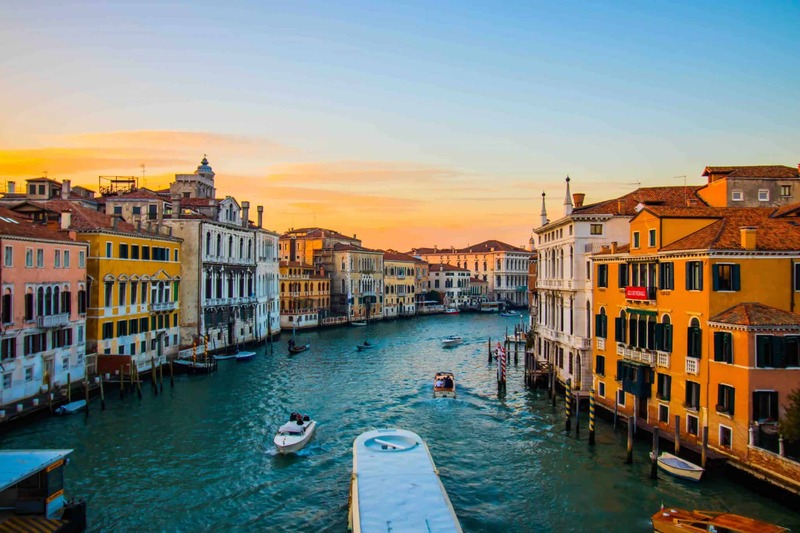 Here are some attractions and activities that make Venice worth visiting. Mask shops pretty much rule the streets of Venice, but most of these are cheap imported masks marketing to tourist. 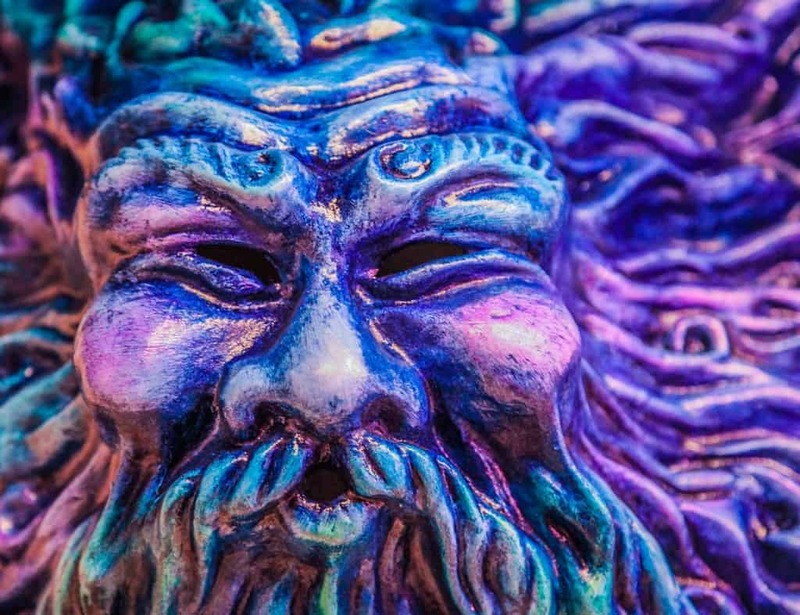 Ca’Macana is a fabulous genuine mask shop in Venice that actually make all their own products. You can even find masks used in Stanley Kubrick’s Eyes Wide Shut here, as this is where they were made. The nice shop owners allowed us to have a lot of fun by letting us try all the masks on. No trip to Venice is complete without a visit to St. Marks Square in the San Marco district. This is the main public square in Venice and boasts stunning architecture from the Byzantine era. Here in St. Marks Square you can also find Cafe Florien; the oldest cafe in the world. Wondering how to order an espresso? Read our coffee guide to Italy. It’s hard to miss the bridge that connects the districts of San Marco and San Polo. Take a walk on it, it is the first dry crossing of the Grand Canal. Venice gets a bad rap for Italian food. Eating pizza in Venice is discouraged, as wood-fired ovens are banned from the island. However, we did find great and inexpensive local fare. Here are a couple noteworthy Venice eats. Perfect local wine and cicchetti shop. The place is tiny and there are no seats inside but the wine is flavorful (and cheap) and cicchetti makes for a midday snack. Another great option for cicchetti. You can mix and match here as the different cicchetti options are endless. Small shop but there is enough room to sit inside or at the bar. A perfect option for mouthwatering Gelato with a great view. Located around the corner from Osteria Al Squero. For the best tiramisu in the city head to Tre Mercanti. A lovely specialty shop with a decadent collection of original tiramisus, macaroons, and wine. Standing room only so doesn’t come with sore feet. A Spritz Veneziano is a wine-based cocktail served as an aperitif in Northeast Italy. You can’t miss the endless signs for them around Venice. Our favorite Spritz was located at Bacareto Da Lele for a mere €1.50. Venice is her best before the crowds. Personally, I love getting up and seeing Italian cities come to life as the sun rises. It will start to get busy through the Venice streets by 10, and those crowds will stick around till after nightfall. There. are. so. many. bad. restaurants. in Venice. Full stop. Venice has never been part of the “amazing world-renowned food” clump that the rest of Italy is in. That’s not to say you can’t get good food out in Venice, just recognize the signs of bad touristy places. Is an employee waiting outside the restaurant calling people in? Avoid. Is the menu in 20 different languages? Avoid. Riding in a gondola while a gentle Italian sings you sweet nothings through the Venice canals is definitely a bucket list item. Just be aware that gondola rides cost €80 – per half hour! That singing man? Well he cost extra as well. If you do decide to enjoy a gondola ride in Venice, just be sure you actually enjoying it. About 80% of the people I see the gondolas are on their phones either Instagramming, taking countless photos, or just browsing? Kinda pointless in my opinion. It’s not a matter of if, but when you will get lost through the streets of Venice. Just accept it and marvel in the rich history and beauty of this Italian city. There really is nowhere like it on earth! Murano glass is world famous. It is special, unique, and very expensive and one should travel to the island of Murano if they are interested in this glass. Watch out for the imitations all over Venice. If it’s cheap, then it’s fake. 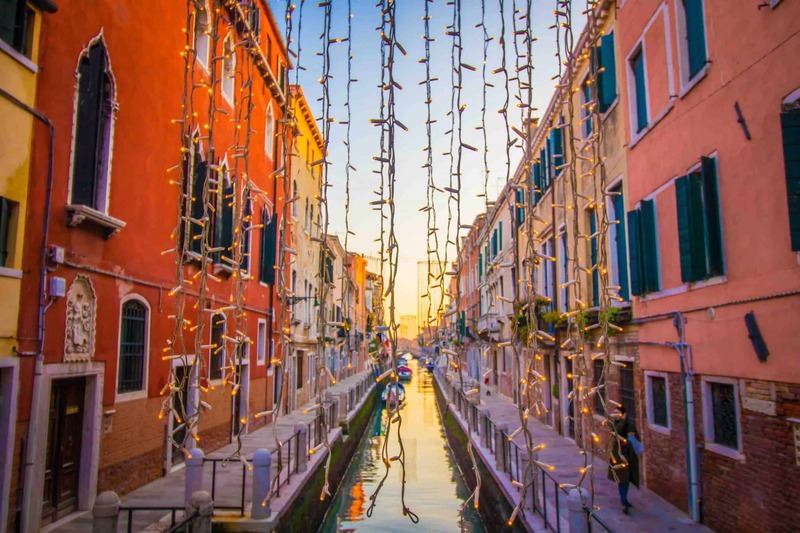 If you plan on exploring in Venice, you’ll be walking almost everywhere. Make sure you are wearing comfortable walking shoes for your days out. Venice is filled with local vendors, cheese shops, meat markets, and produce vendors. If you are in need of a supermarket to do some more heavy duty shopping, Venice has those as well. Co-op and Conad are two of the big ones. 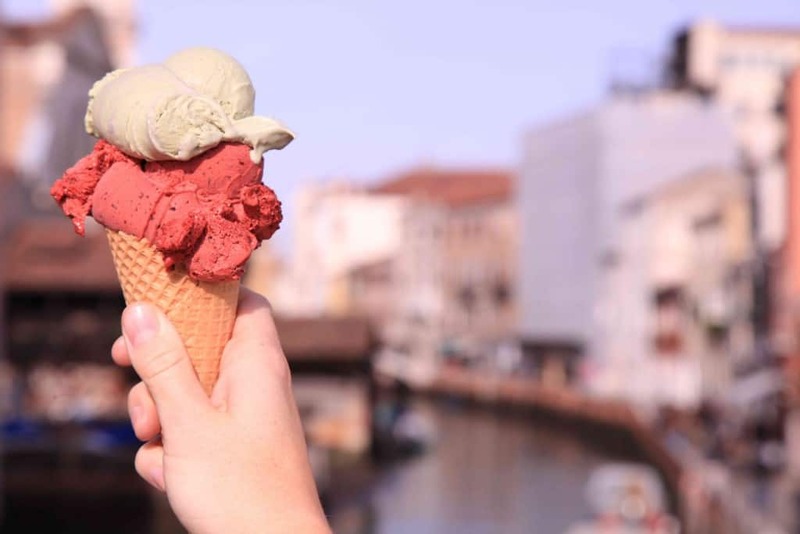 Between walking the endless bridges, gorging on Cicchetti, and drinking ourselves “spritzy,” we could have easily spent more than a week visiting Venice. Venice is certainly a floating city stuck in time and she is worth every second you can give. We rely on a few trusted websites that help save us money and time when booking hotels, flights, and car rentals. , or to feel more at home in Italy we use Airbnb. Here is a coupon for your first stay!